Company of Heroes: Eastern Front is a community expansion for Relic’s award-winning WW2 RTS. The soundtrack to Company of Heroes: Eastern Front was released way back in April of this year and I was really happy to see the game’s community react positively to it. Since then, other than occasionally using the mod tools to help add audio to the game, it’s gone all quiet on the Eastern Front for me. However, more music will be coming with the campaign and future trailers, so watch this space! As for the game itself, it continues to grow and improve with each patch and now the team hope to have it released on Steam in time for the long-awaited arrival of the Ostheer faction. 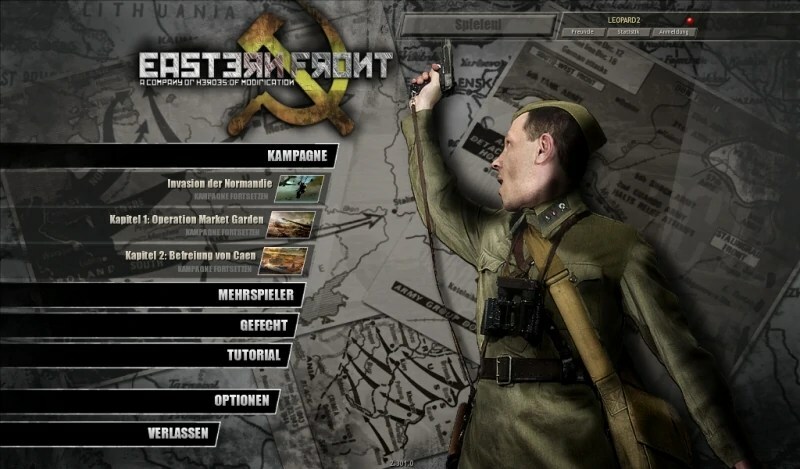 If you are a fan of the game, or just like seeing talented modders come together to make something awesome AND free, then go here and please vote for Eastern Front. Thank you. Next Post: Brainpowered Beach Party soundtrack released!